Since the invasion of Iraq, both Labour and Conservative governments have been on a mission to normalise what the military does and further legitimatise state violence. As the DSEI arms fair in London draws to a close, we look at the increasing incorporation of the military into daily life. The report, written in 2008, made a number of recommendations, including Armed Forces Day, homecoming parades, greater media contact, visits by MPs to combat zones, meetings between the army and business leaders, stepping up cadet forces in comprehensive schools and integration into national sports events. Nine years later we can assess the impact of the ideological assault. There are military activities and institutions in schools and colleges, particularly in state schools based in poorer areas. We also find militarisation in public spaces, homecoming parades for soldiers, the British Army at the Edinburgh Festival and Pride in London, and universities. This is against a background of ‘the war on terror’, finger-pointing in parts of the media at those barbaric brown people who want to harm us and a PR exercise that has included subtly rebranding Remembrance Day, from “Never forget" to “Support our troops” unquestioningly, with days of commentary about who is and isn't wearing poppies appropriately every year. It's not just the army having a youth engagement strategy or public outreach programme. Weapons manufacturer BAE systems sponsors schools and influences the curriculum. The Ministry of Defence works with different agencies to promote the uptake of STEM subjects. In April 2017 BAE Systems announced a partnership with five universities, noting that the collaboration “will help BAE Systems ensure its customers can maintain a military advantage over their potential adversaries in the future” (BAE Systems). In fact, universities and the military are so intertwined it’s difficult to separate their interests and relationships. King's College London has a long history with the military – sharing research and receiving funding. The university holds investments of more than £1.5m in the arms trade, holds a pension scheme with arms dealer Textron. It has teaching relationships with military institutions, has military presence on campus, and welcomes armed units at careers fairs. In universities militarisation happens through research and funding, ﬂows of knowledge between the institutions, use of research to apply to military purposes, embedding of staff, academic teaching at military academies, the presence of University Services Units (USUs), the presence of Military Education Committees which oversee USUs; army recruitment at careers fairs and remembrance and memorialisation. Whilst working collaboratively with the military and weapons manufactures, King's, like other universities supports Prevent, the government’s programme for tackling extremism. King's also hosts the International Centre for the Study of Radicalisation and Political Violence. On the one hand they carry out unprecedented surveillance of students, while continuing their involvement in the implementation of the UK's murderous foreign policy. Some Universities such as Goldsmiths, School of Oriental and African Studies and UCL have divested from the arms trade. But that doesn’t go far enough. There is no space to reimagine and create universities that truly serve humanity. How do we collectively fund them? How do we make them truly democratic, transparent and open to everyone regardless of income? How can Kings make its slogan truly meaningful? It is direct action by students that is forcing universities to start conversations about their role. The formal relationship between universities and the military can be traced back to the Haldane Reforms of 1908 that established University Officers Training Corps (UOTCs). Even before that, the British government relied on the technical expertise of academics in subjects such as geography and anthropology for colonial and imperial expansion. UOTCs are the training units for the army, navy and air force collectively known as University armed service units (USUs). There are 18 USUs managed and funded by UK armed forces covering 68 universities. Participants are paid but there is no obligation to serve in the army. But it’s not about providing military skills. 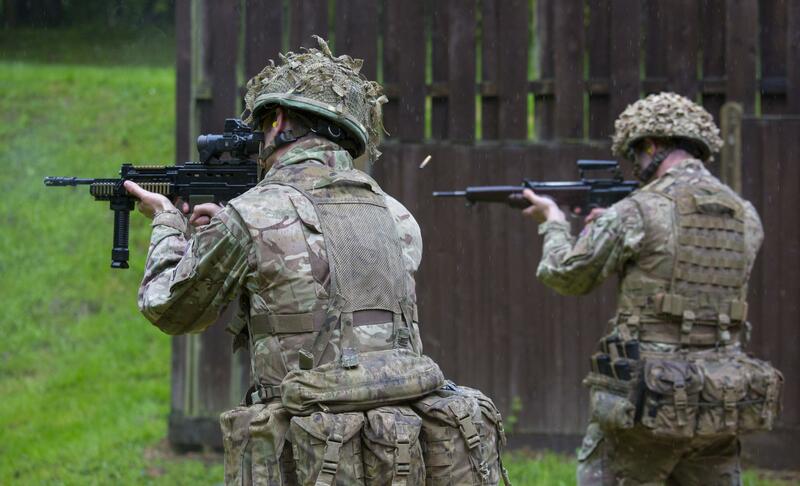 This could be done at military schools such as Catterick, Pirbright, Winchester or Harrogate. USU participants make up only 0.28% of the total student population, yet there is a whole infrastructure to support them. This is about normalising the military so when students go into civilian life, they have positive views of the army. It’s to “provide a positive military experience” and to “to aid in and facilitate the recruiting of regular and reserve officers” (British Army, website). A Demilitarise King's student says, “You have to ask yourself why is it that students and staff don’t know about this is? It's because there is a culture of military values at the University. Militarisation is a way of legitimatising business with arms companies". The British government knows that military intervention, spending and the killing of civilians will be resisted by the public. So they are neutralising this resistance by legitimising the military through public events and education while the revolving door between politicians and arms companies continues unhindered. Whilst most universities avoid engagement in critical debate about their complicity in violence and terrorism, it is left to students and others to reject this militarisation of our lives. Bluenile, the URL you provided is a link to a file on your local hard drive, can you please update the link? Is this the URL you meant to use? Thanks Khawaga, I think I have corrected it now.